The following is a list of restorative, refreshing and delicious Korean drinks to enjoy and make. Some of these are traditional Korean teas, and others are contemporary cocktails and new takes on old classics. Koreans can and do make tea out of everything from fruit to herbs to rice. The excellent thing about these teas is that you can enjoy them piping hot, soothingly warm or iced cold. Maesil Ju is a traditional Korean liqueur made out of green maesil plums. Sometimes also called plum wine, this liqueur is sweet, tart and refreshing on ice in the summer. 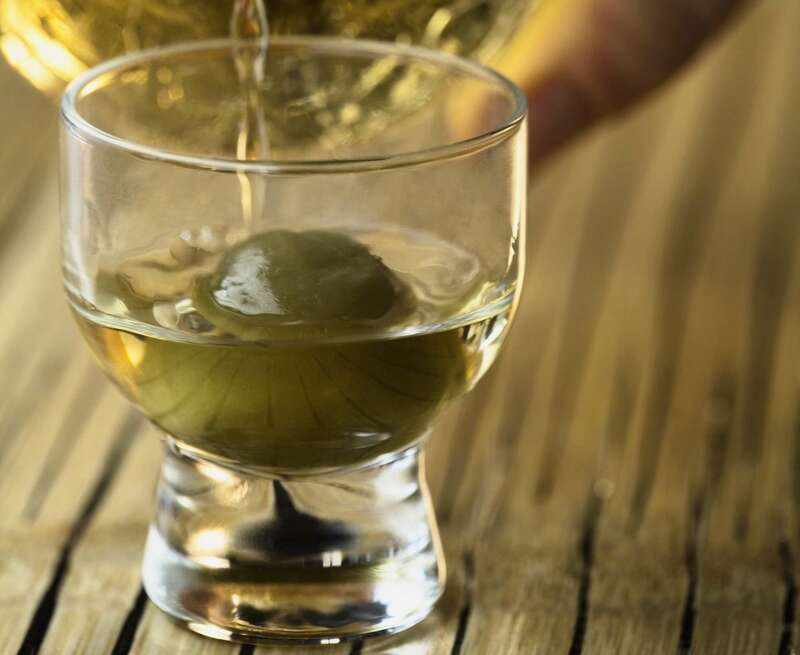 You can enjoy maesil ju (green plum wine) as a dessert wine, on ice as an aperitif, mixed into a cocktail or as an accompaniment to your meal. There are also Chinese and Japanese versions of this liquor or wine, but the Korean “plum wine” is made with soju and honey. Yuja, the Korean citron fruit, has a zingy tart flavor that combines elements of mandarin oranges, lemons, and grapefruits. Although yuja chung, the Korean yuzu marmalade, is traditionally used for making hot tea, it can add vitality and contemporary glamor to mixed drink cocktails. Homemade soy milk has a nutty flavor and is easy to make. With the drastic price increase in soy milk over the years and the news that some of the "organic" soy milk is not made from all-organic soybeans, you may prefer to make batches at home. Besides being easy, you can also control the texture and sweetness of the milk you are making at home. Refreshing on a hot summer day or soothing on a cold winter one, this sweet ginger tea is full of nutrients and vitamins. Excellent chilled, this tea has also been used for centuries as a natural cold remedy. If you are making a warm version during the winter and don't have access to the pears, you can use dried persimmons, a couple of tablespoons of honey and a dash of cinnamon. Ginger is also used in Asia to aid digestion and many other ailments. A popular Korean grain "tea," Sungyung is just well-roasted rice steeped in hot water. It has a nutty, smoky flavor. This recipe makes a large batch of roasted rice so that you can have a cup of sungyung whenever you feel like it. If you want to make a few cups of tea, you can also fry some rice in a dry (no oil) pan. A yogurt cocktail might sound crazy if you're new to soju, but yogurt soju is popular in Korea and all over Asia. Both yogurt and soju go well with the fiery aspects of Korean cuisine, so it makes sense that Koreans would mix them. But be careful, as the most common complaint about yogurt soju is that it's so easy to drink that you're drunk before you know it.